A very tasty cooked canned alligator product. Just heat and pour over some rice. 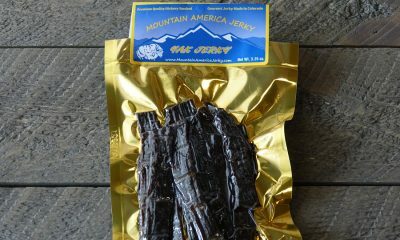 Or heat it up and eat by itself with some french bread for dipping. This Cajun gator treat is marinating in a spirited gravy, spiced just right with a gentle kick. The can contains 4 oz of Cajun alligator and 3.5 oz of broth. Just heat and enjoy! 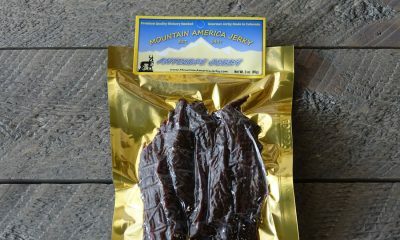 Can’t get enough of Mountain America’s alligator meat! Love it warmed up over toast (the gravy it comes packed in is tasty!!!). Great with rice. Even made a gator chili. A big hit every time! I love this alligator meat. It’s so tender and the sauce is so good! It tastes the best when you fry it up with some bell peppers and onions. But it is still really good by itself with rice or noodles. 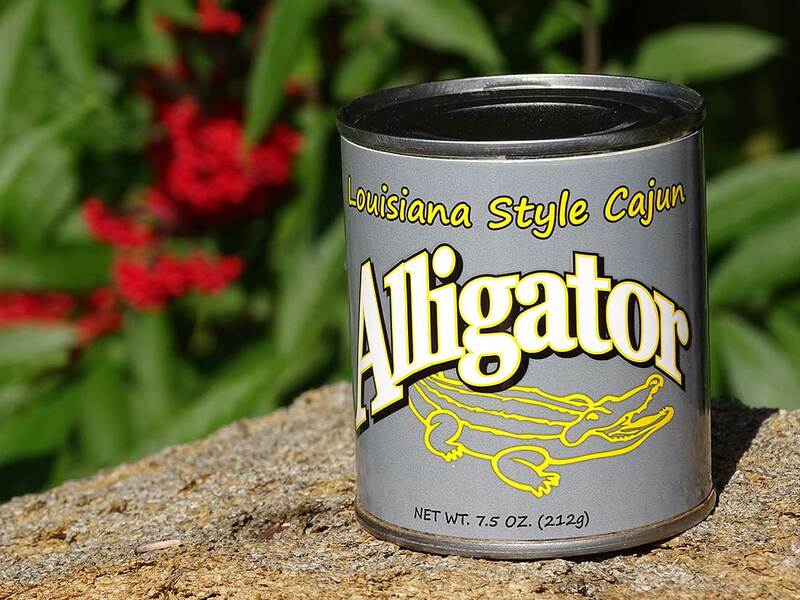 If you want to try something exotic, I recommend this cajun gator in a can. Especially if you want an easy quick meal. 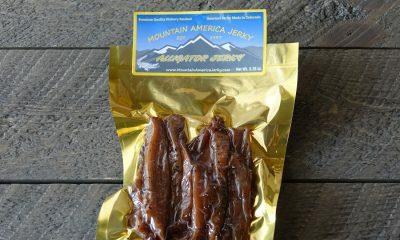 I love Mountain America’s alligator jerky, so wanted to try this Cajun-style product. It was really good! Alligator meat in a light ‘gravy’ which I served over rice for a quick meal. The spice in it was perfect – heat to compliment the flavor with a good kick to it. 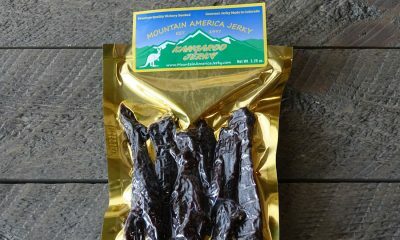 This would make a great meal on my next camping adventure.